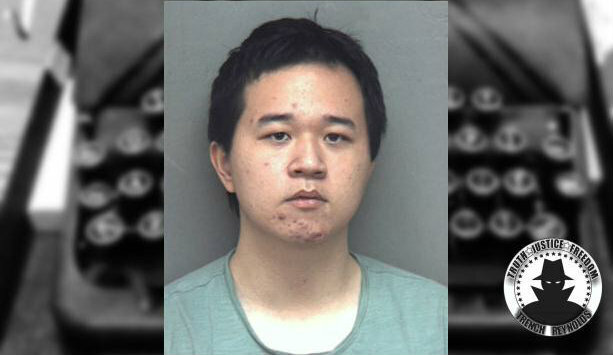 Back in January, Chinese national and Virginia Tech student Yunsong Zhao was arrested for allegedly being in possession of an AR-15 with a 30 round magazine. In Virginia, it’s illegal to own an AR-15 with a 30 round magazine but a 20 round magazine is A-OK. I mean, what’re 10 bullets between friends, am I right? Xhao’s arrest took place after he had tried to purchase 5,000 bullets. Investigators also alleged that Zhao was researching how to purchase body armor and owned a decommissioned police car that still had police markings on it. After his arrest, Zhao was expelled from Virginia Tech for allegedly having an assault rifle on campus. Considering Virginia Tech was the site of one of the worst school shootings, you can imagine that the school’s administrators were probably justified in their decision. Zhao was also taken into custody by Immigration and Customs Enforcement (ICE) after he had posted bond. At the time of his arrest, I was convinced that Zhao was plotting some type of crime. Of course, I would lean towards that he was plotting a school shooting considering he allegedly and egotistically claimed he would make a victorious return to China, but it could have been any number of crimes. However, police and prosecutors could not prove Zhao was in possession of a 30 round magazine so yesterday, the charges against him were dismissed. I could see why police may have jumped the gun, so to speak, in arresting Zhao as they probably wanted to prevent any mayhem he may have been planning. While I’m of the opinion they more than likely did stop a heinous crime from occurring, the would-be perpetrator has escaped justice for the most part. However, authorities have said that he will be likely deported back to China. While I shouldn’t be surprised, Zhao had his own contingent of supporters outside the courthouse while his charges were being dismissed. They claim that the police racially profiled Zhao because he was Asian who liked guns. I may be foolish for thinking this but it probably had more to do with the fact that he had the mass shooter’s weapon of choice on the grounds of a university where 32 innocent people were killed by a mentally unstable loser who liked guns. The fact that both Zhao and Cho Seung-Hui are both Asian is coincidental. Let’s also not forget the fact that he owned that police car and was supposedly trying to find body armor. As I said before, I doubt he was starting a one-man crime-fighting force. Oh well, he’ll soon be China’s problem when he returns to them in a not so victorious manner.